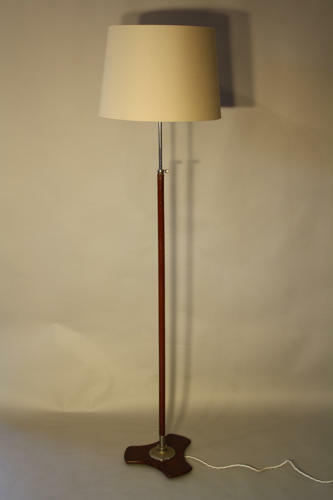 A dark tan leather "mock crocodile" covered floor lamp with adjustable silver stem. French c1970. Rewired and PAT tested for UK use.